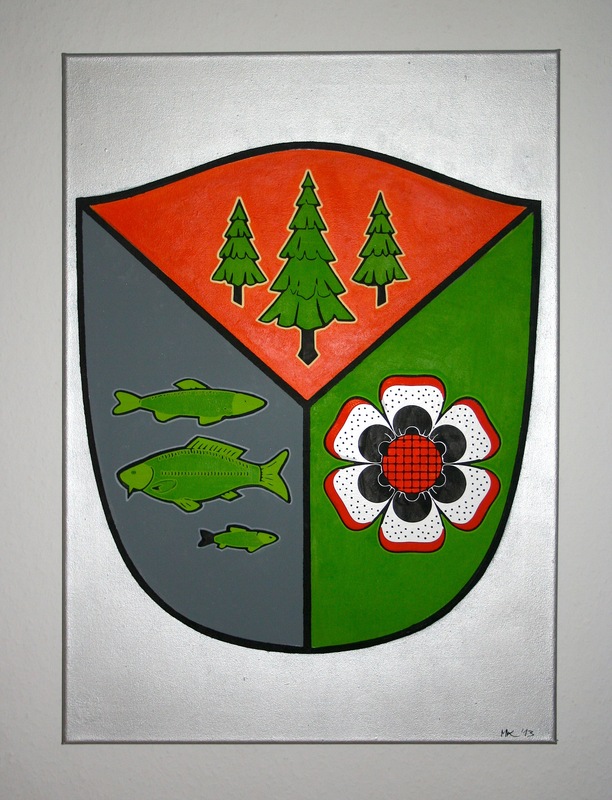 A graphic Painting of the City coat of Arms for a small Town in Germany. Hand painted with acrylic Paint and Markers in 2013. This entry was posted by Admin in Artworks, Canvas	and tagged acrylic, Artwork, canvas, grafik, graphic, handmade, leinwand, markers, Painting, pfaffroda.